Zoom allows users to schedule meetings from the desktop client, Zoom web portal, calendar plugins, or mobile applications. Desktop Client – Under the Home tab, click Schedule, fill out your meeting information, and you’re all set! Zoom Web Portal – Simply log onto My Meetings, click Schedule a New Meeting, fill out your meeting information, and click save. Calendar Plugins – You can download Zoom’s calendar plugins and extensions for services such as Google and Outlook. On the calendar interface click Schedule a Meeting, or Make it a Zoom Meeting. Mobile Applications – Open the app. From the home screen, tap the Schedule icon, fill out your meeting information, then tap Schedule or Done. Check out our Scheduling FAQ blog post for more information. Now let’s take a look at some of the newly released scheduling features. Be sure to download the newest client to make sure you have them! You can now see all your meetings on the Zoom desktop client, regardless of whether they are Zoom or non-Zoom meetings. Zoom’s real-time chat presence will change your status to busy even if you are in a non-Zoom meeting as long as it is scheduled on your calendar. In addition, you can join Zoom meetings you have been invited to directly from your desktop client without going to your calendar. The Zoom client can now be your all-in-one scheduling and meeting management platform! Zoom’s Waiting Rooms feature is perfect for people who have back-to-back meetings on the same meeting ID. While not strictly a scheduling feature, it is a helpful feature that helps you be more professional in your meeting planning. Waiting Room users can now customize their virtual waiting room with their logo, meeting title, and a personalized message. This is great for reinforcing your brand or messaging for private practices, educational office hours, and consulting. Lastly, it will give your customers and clients a peace of mind that they’re in the right place while they’re waiting. We’re also excited to announce our Safari extension! Safari users can now have access to all the web extension features that were available to our Chrome, Mozilla, and Edge users. Extension features include one-click meeting scheduling and Google Calendar integration. Stay tuned for more blog posts on our new features! 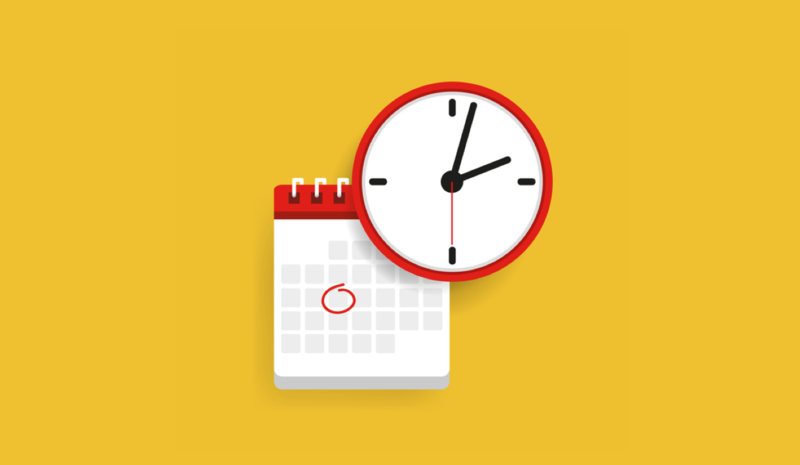 Want to bring these scheduling features to your enterprise? Sign up for a personalized 1-on-1 demo with a Zoom specialist today.